Relocating can be difficult for people of any age. Whether you move a lot or have remained in the same locale for your entire life, moving out represents a substantial challenge. Unsurprisingly, relocation can be every bit as hard on children as it is for adults. Kids thrive on routine, and departing from a home they’ve grown accustomed to can effectively throw their world into disarray. 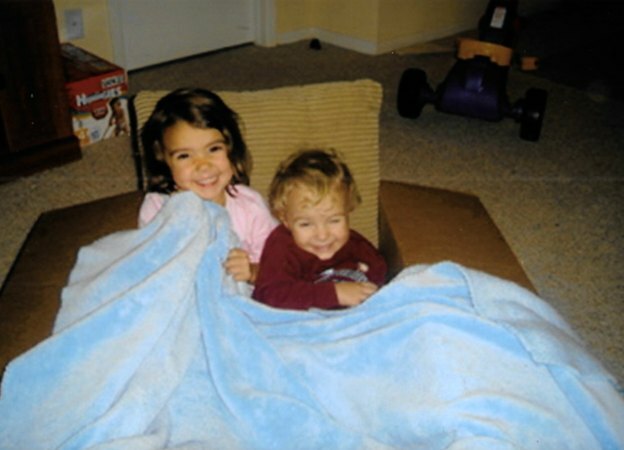 Fortunately, you can make moving considerably easier on your little ones. Arm yourself with these practical tips for relocating with children to help prepare for a smooth transition. Parents looking to relieve their children of relocation-related anxiety can benefit from the following pointers. Relocating with children can be tough. As a parent you have all your normal moving to-do lists and your own set of emotions to deal with and then you have your children to think of too. As a child, I moved a lot. People always asked if I was an Army Brat. It was always a bit scary and exciting all at once. Here are a few tips to help your child deal with moving. The longer a child knows about an upcoming move, the more time they’ll have to become comfortable with the idea. On the flipside, springing the news on a kid in the immediate lead-up to a move is practically guaranteed to turn out disastrously. As such, it behooves parents to inform children of moving plans as soon as they become sure of them. This will help ensure that your little ones have ample time to process this development, which is crucial to their acceptance of it. After informing your children of the move, you’ll need to prepare them for what to expect. This means outlining both the relocation process and the changes your kids will face once the move is complete. If moving means being far away from treasured friends or family members, provide assurances that your kids will remain in contact with these people. You’re liable to get a fair amount of pushback at first, but after your little ones allow the dust to settle, they’ll slowly become more comfortable with the information you presented. My kids wanted to play in every box I tried to pack! Many children become more amenable to the idea of moving after learning about the ways in which it stands to positively impact their lives. With this in mind, make sure your children are fully aware of the ways they stand to benefit from your upcoming relocation. For example, if you’ll be moving into a larger home, try wowing them with size of your new yard or their new bedrooms. If you’re relocating to a different state, city or township, highlight the things they’ll like about your new locale – i.e., playgrounds, amusement parks and other kid-oriented locations. Children often feel as though parents don’t listen to their opinions or take their concerns seriously. While your kids may be powerless to stop your relocation, it’s important that you allow them to air their grievances and feel heard. In addition to providing them with an outlet for their anxiety, this will give you an opportunity to better understand the reasons for their trepidation. The more you learn about why they don’t want to move, the better equipped you’ll be to address their concerns. If nothing else, having the opportunity to openly vent will make your kids feel a little better in the short term. You can help your kids take their minds off relocation by doing something exclusively for them in the immediate aftermath of the move. Examples include dinner at a special restaurant, a trip to the movies or a pizza party in your new home. There’s sure to be a little bit of lingering anxiety, but a fun family activity will help everyone relax. Additionally, setting up the kids’ rooms before doing any other unpacking is a great way to make your kids feel a sense of belonging in their new home. The right moving company can unload and unpack your children’s belongings in a timely and efficient manner, which can prove instrumental in helping their bedrooms take shape. Whether you live in a small town or a bustling city like Denver, moving companies are available to help make your move easier and stress-free for your family. Your child will have to do the actual work of making new friends but you can make it easier for them in two ways. First, give your child permission to have friends over to play and/or sleepover as soon as possible. Second, encourage them to take the first step. You make friends a lot more quickly if you introduce yourself and you invite friends over. I often had a beginning of the year sleepover party so I could invite several people over and get to know them well all at once without any one on one pressure or strangeness about a first time sleeping over alone. Being new can be an exciting draw and making friends can be easy because of it if they are prepared to put in the effort. To call moving difficult for a child would an understatement. Being pulled out of familiar surroundings and tasked with adjusting to a new “normal” can turn a child’s world topsy-turvy and ratchet up their anxiety. While the level of distress brought on by moving varies from kid to kid, most children are bound to experience a tornado of emotions upon learning of a forthcoming move. 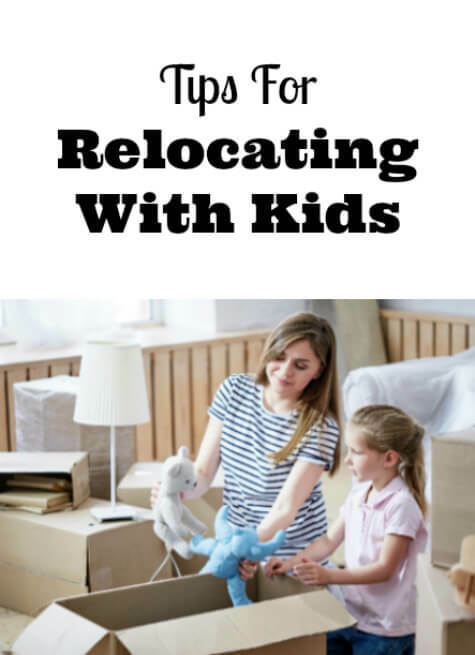 Although you may not be able to ease their burden entirely, there are numerous steps you can take to soften the blow and make your little ones more amenable to the idea of moving. I hope you found these tips for relocating with children useful.